Although few of his novels are currently translated into English, Jia Pingwa is one of China’s most popular novelists. UK-based Nicky Harman translates from Chinese into English, and spends time promoting contemporary Chinese fiction to the general English-language reader. 高兴, Happy Dreams, has just been published. Happy Dreams concerns Hawa 'Happy' Liu’s search for a life that lives up to his self-given name. He travels from his rural home to the city of Xi’an, taking with him only an eternally positive attitude, his devoted best friend Wufu, and a pair of high-heeled women’s shoes he hopes to slip onto the feet of the yet to be found love of his life. In Xi’an, Happy and Wufu find jobs as trash pickers sorting through the city's dumps. But Happy refuses to be crushed by circumstance: in his eyes, life is what you make of it. His optimism seems justified when he meets a beautiful girl: surely she is the one to fill the shoes? But when harsh conditions and the crush of societal inequalities take the life of his friend, Happy needs more than just optimism to hold on to the belief that something better is possible. Jia Pingwa’s, 高兴, Happy (Happy Dreams in translation) was published in 2007 and I came across it the following year. I felt an immediate empathy with this handful of migrant workers collecting the trash of a sprawling Chinese metropolis, Xi’an. 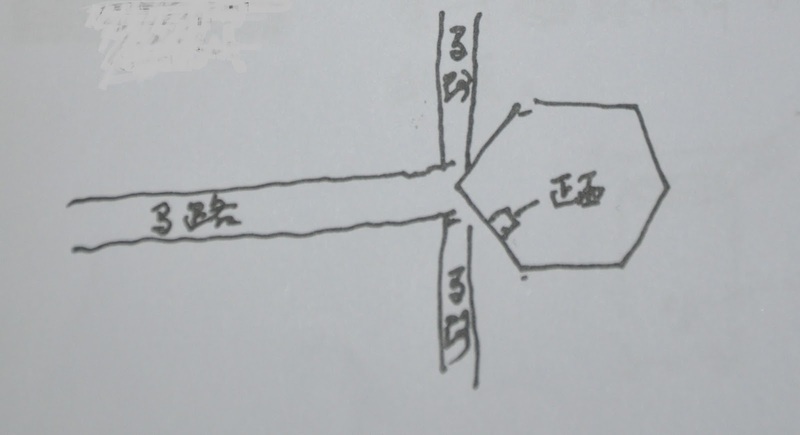 I made some efforts to find a Western publisher, including phoning Mr Jia out of the blue to ask about rights (he was a bit surprised, I think) and getting a sample published in the Guardian newspaper in 2008, but it was not until 2015 that Amazon Crossing spotted the sample, and approached me to translate the novel. Good things come to those who wait, as the Guinness adverts famously used to say. Unlike the sprawling rural epics for which Jia Pingwa is known, Happy Dreams contains only a handful of characters, principally Happy Liu and his friend Wufu. The pair arrive in Xi’an from their village, rent room in a semi-derelict building and settle into life as trash collectors. We follow them through a series of tragi-comic adventures and then Happy falls in love, and things get more serious. (Do not be taken in by the Chinese film of the same name which, although it has Jia Pingwa’s name on it, is a slapstick comedy.) 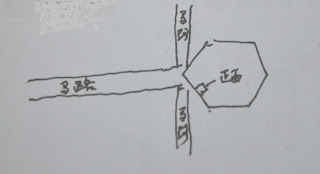 In due course, a series of disasters strike: his lover, a prostitute in one of Xi’an’s ‘hair and beauty salons’, is arrested by the Vice Squad and sent to be ‘reformed’; Wufu dies of a stroke; and (this is how the novel opens), Happy is arrested trying to take his friend’s corpse home by train. 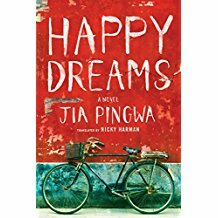 In Happy Dreams Jia Pingwa tells a good story and takes us to strange and fascinating places. But what really makes the novel, in my opinion, is its main character, Happy Liu, who is particularly finely-drawn. 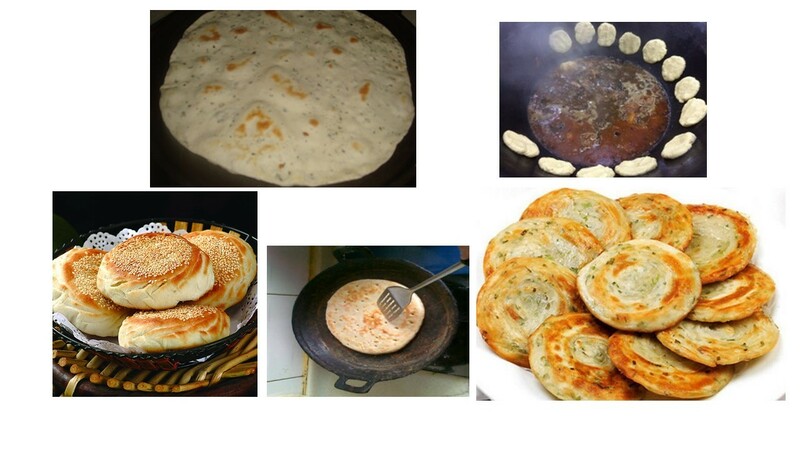 The man is a bundle of contradictions, a kind of Xi’an Charlie Chaplin: pretentious, engaging, obnoxious, honest, devious, foul-mouthed and tender (to his best friend and to his lover), and ever-ready with his aphorisms and homilies. Happy is an unlikely hero, but a winning one. Details: Happy Dreams is published Amazon Crossing, in paperback and eBook. Priced in local currencies.